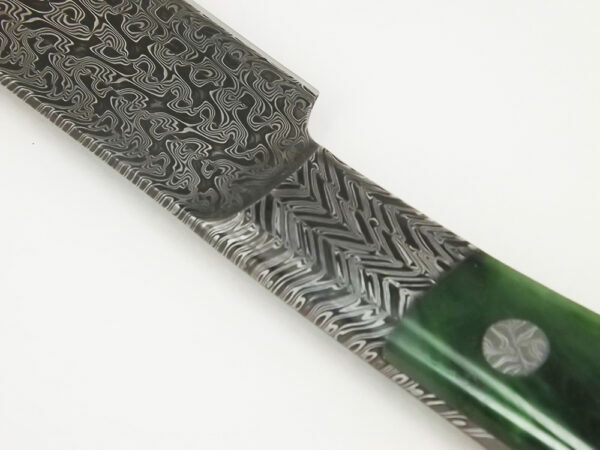 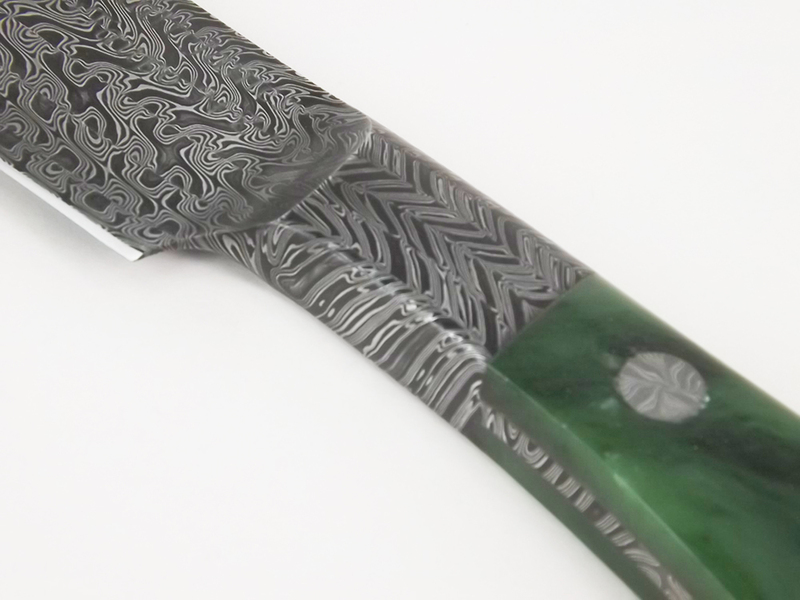 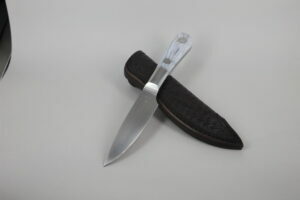 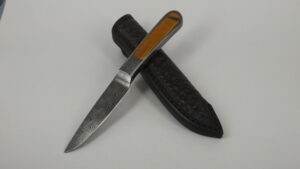 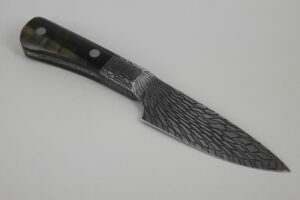 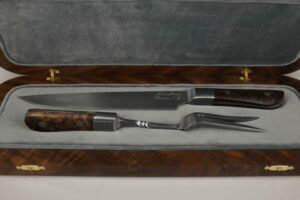 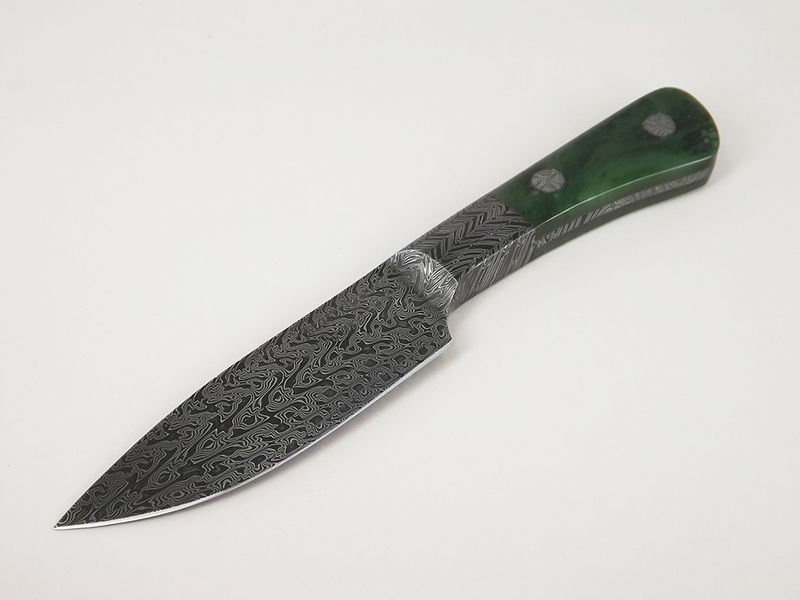 This Large hunter is made from Turkish patterned damascus steel. This pattern is created by forge welding multiple twisted bars together The mix of steel is 1075 & L6 . 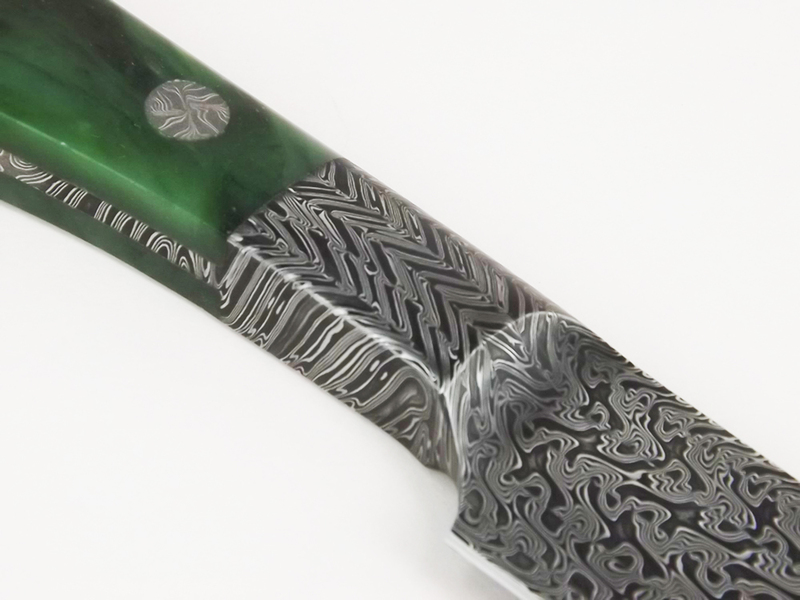 The pins are made from radial pattern damascus. 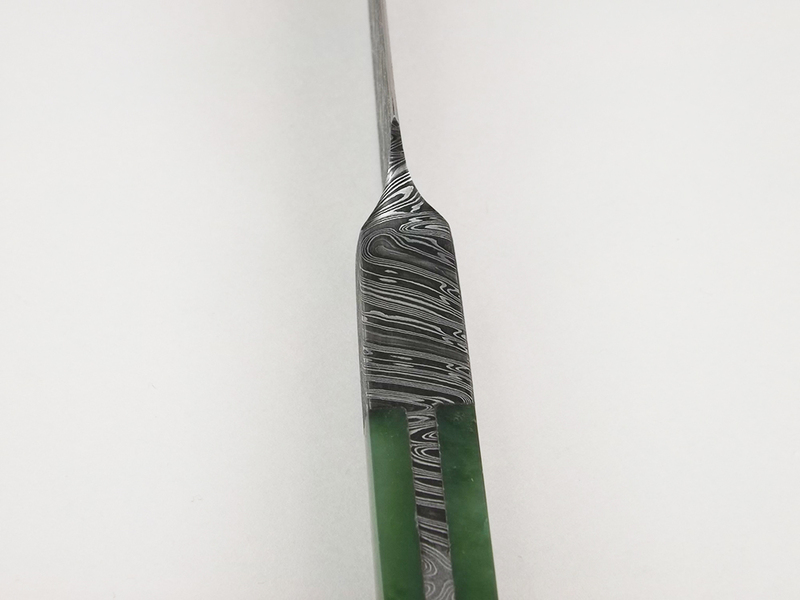 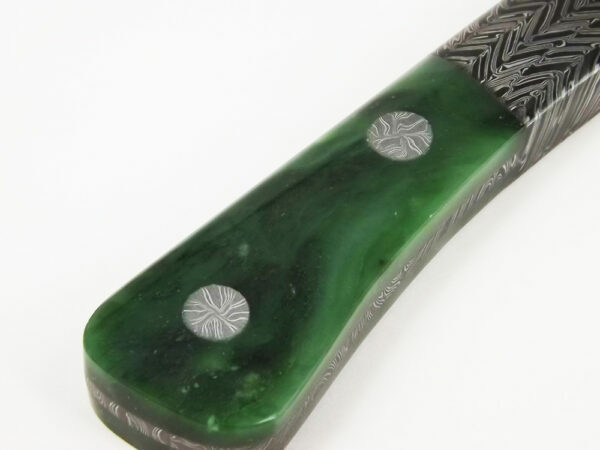 The handle is made from NZ greenstone.